This years Topsfield Fair promised to be a memorable event. 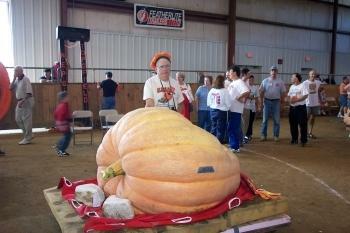 Who knew that we would be witness to a new World Record pumpkin? The folks from New Hampshire sure did! 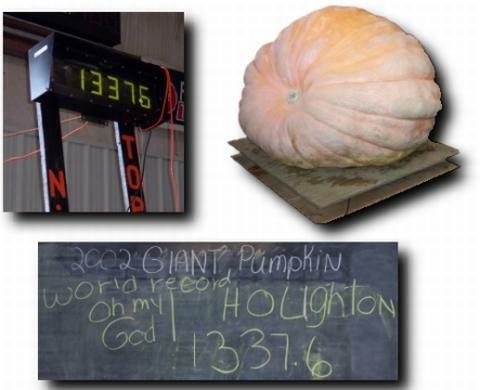 The top three pumpkins came from New Hampshire, averaging a massive 1234 lbs. The average alone is astounding. To have these three be in the top five biggest in the world is even more impressive! The price of land in New Hampshire just went up!! Be sure to visit our In the Patch...Charlie Houghton 7/22/2000 article. 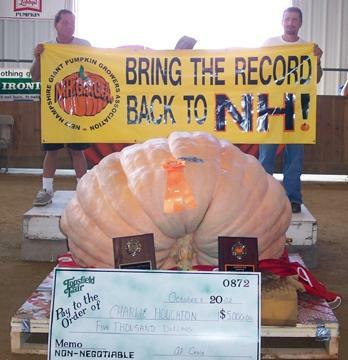 Bruce Whittier of Henniker, NH came in second with this 1,186.4 lbs beauty. 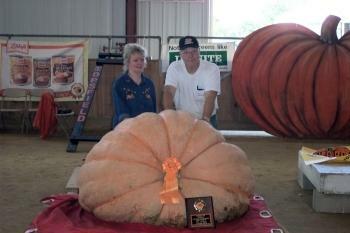 Jim Kuhn of Goffstown, NH took third place with his 1,177.8 lbs pride and joy. These New Hampshire growers aren’t proud, are they? Congratulations to all growers, this was a fantastic weigh-off. We continued our tradition of bringing you every pumpkin that hit the scales.